"I'm tellin' y'all it's a sabotage.."
When you mention that a game contains a feature-set of colorful characters and a selection of mini-games, one can't help but think of Mario Party, Nintendo's juggernaut party franchise. While Jackbox Party Games has been doing its own thing quite well for the past few years, you can't help but look to compare a game like Frantics to that of Mario Party, given the few but limiting similarities. 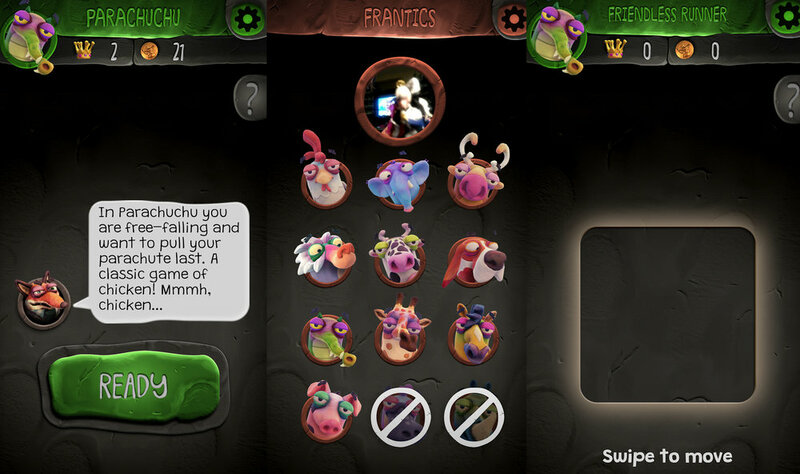 Frantics is the next in line of PlayLink titles that look to use your smartphone or tablet as a controller, usually offering unique gameplay experiences that a simple controller cannot perform. While Frantics can be a good time for a few hours, with the right group of friends, it is one that is somewhat forgettable the following day. Frantics has you download its app from your device's store of choice and you will connect to the same wifi network that your PlayStation 4 is connected to or allow the system to create its own personal hotspot. Apart from a few connection issues getting my friends into the game, it was mostly smooth sailing from then on after. You will take a selfie and choose your animal avatar and you can use your phone to then shake them into shape, morphing their bodies into various shapes and sizes. There is a pig, a dog, a horse, an elephant, a monkey, a crocodile, and more. 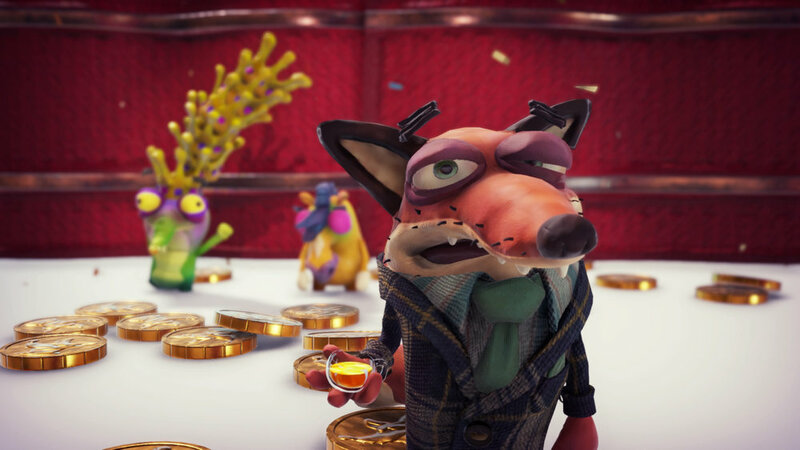 Once you have chosen your distorted clay-looking animal, then it's time to meet your host, a wise-talking Fox. 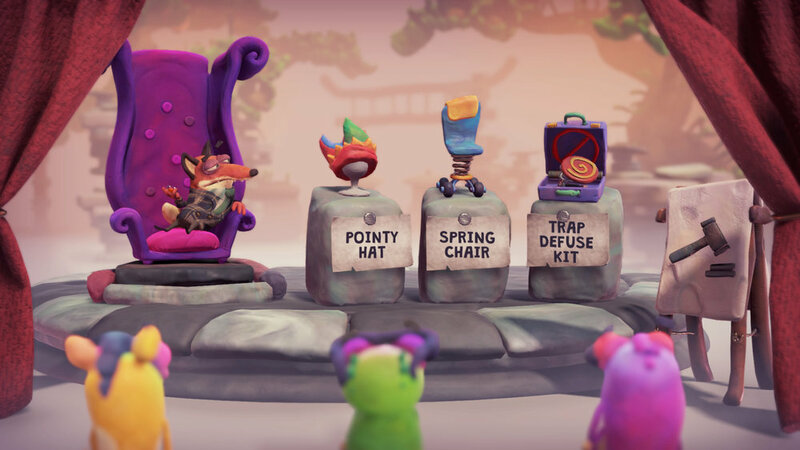 This sly Fox host will guide you through each of the 15 mini-games and will explain their rules, crack jokes, and award some random coin prizes at the end of each round. He will join in during most of these events to toss in a bundle of dynamite or to call one of the players between matches through the app and plan a bit of sabotage in the next event. I was slightly disappointed that while he does call you, the actual instructions are texted to you, as the vocal parts of the call are simply that he is going to text you the details about your top secret mission. This suave and mysterious host will also run an auction periodically where players can bet their hard earned coins towards items that may or may not give you an advantage in the next game. Do you think a springy chair or a freeze ray will help you in the final showdown? If so, place your secret bid on your phone. Should you not win your bid? Well, you'll lose the coins that you put up for said wager. While there are a few different modes present, the main Fox-hosted option is easily the most rewarding. Players will take part in a series of mini-games to win Crowns, which are essentially the same thing as Stars in Mario Party. During the final showdown, these Crowns will represent the number of lives you will take with you. What is rather hilarious is the ability to tap your phone after each mini-game to have them wave their hands around or slap their own face during this short-lived moment. 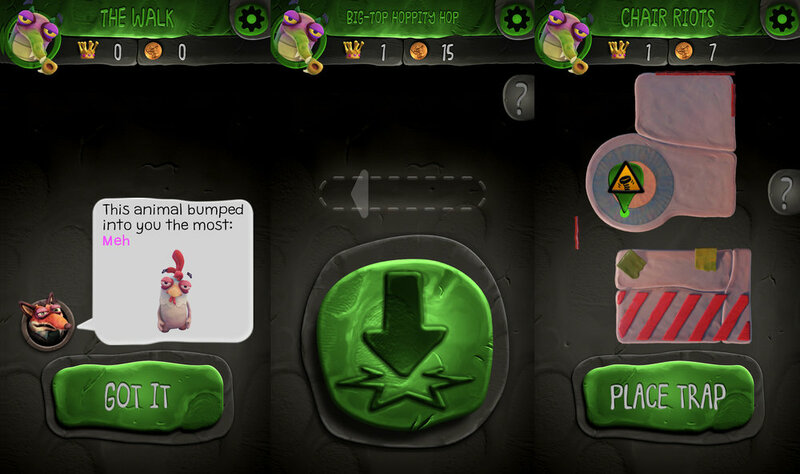 There are 15 mini-games in total, each controlled through the app that players will have installed on their smart device. These short activities require you to tilt, swipe, or tap the screen to make your animal move, attack, or jump, depending on the activity. The mini-games themselves range from decent to mildly fun, with maybe one or two that could see a bit more variety in them. There are also short mid-round games that are very thin on concept like a game of hot potato with a bomb, earning coins as you hold on to it. There is a four-net game of soccer, a game of curling where the curling rock is just your character sitting on an office chair, to a parachute game where the first person to land safely is the winner and if you drop too fast, then you smush into the ground with a loud and painful smack. The more inventive mini-games are where you will apply items to another player's jetpack or go-kart, making them control either way too fast, springy, or a bit more sluggish. The selection of mini-games is decent, but after a few hours, you start to repeat too many of them and there is only so many times that you can play the parachute game and still be entertained. Had the game launched with around 30-40 games, then I could see the replay factor being far better than what it currently is. Should you just want to set up a playlist of certain games, you can make your own custom set of four and just go to town on your favorites. This is a good way to try out some of the games that never find their way into your normal mode rotation. We played 3 full Fox-hosted games and never saw a few games enter into the mix. The app itself worked with very little to no lag present what-so-ever. We did find that moving your character around wasn't as intuitive as it should be and often tilting your phone side to side and up and down just didn't get the reaction we wanted. I'm assuming that this was to make it somewhat frantic (I'll let this joke simmer for a bit..) in regards to having a somewhat panic to the game, instead of making it too easy to do what you need to do. There are several mini-games like throwing a bomb around or trying to stay atop an icy surface that wasn't as fun as it should have been because of the inability to move freely. Some games will use the app to allow you to plant items like a spring on the map, causing players to bounce out of bounds should they come into contact with it. You can also sabotage other players once you have been eliminated by freezing them or giving them hot sauce; causing their controls to be inverted. These little moments of sabotage are great but felt limiting, as if the mode was created with a much bigger scale but it never really pays off. The stop-motion clay look of the game fits Frantics wonderfully as the game has a very distinct look that works. I really enjoyed the characters themselves and you can win cosmetic outfit items like hats and glasses that you can dress up your character with at the character select screen. The Fox host has some funny dialogue but it starts to wear out pretty quickly. Frantics is at least priced accordingly to what you get here as the game comes under $30 on the PlayStation Network Store. After playing through each mini-game nearly a dozen times, it's hard to say how soon I'll revisit the game. The ability to unlock costume items is ingenious and might be one of its best assets. I still wish the game had at least double the games featured as 15 is rather small especially considering most games only last 2-3 minutes each. Frantics is my second PlayLink title and both of them start off with the promise of delivering a fun and interactive game but squander what could be something truly innovative and instead relies far too much on their simplicity. frantics WAS PURCHASED BY THE REVIEWER. All screenshots were taken on the Playstation 4 and a Google Pixel XL.